Dreams are made possible if you try. | Coach Billy. Dreams are made possible if you try. My wife has successfully persuaded encouraged me to watch one of her favourite shows, The Amazing Race Canada. The last (and might have been the only) reality show that I remember watching loyally was the first Survivor season. I agreed to watching the first Amazing Race Canada because as my wife said, it’s very informative and even educational about the places, people, and culture in Canada. 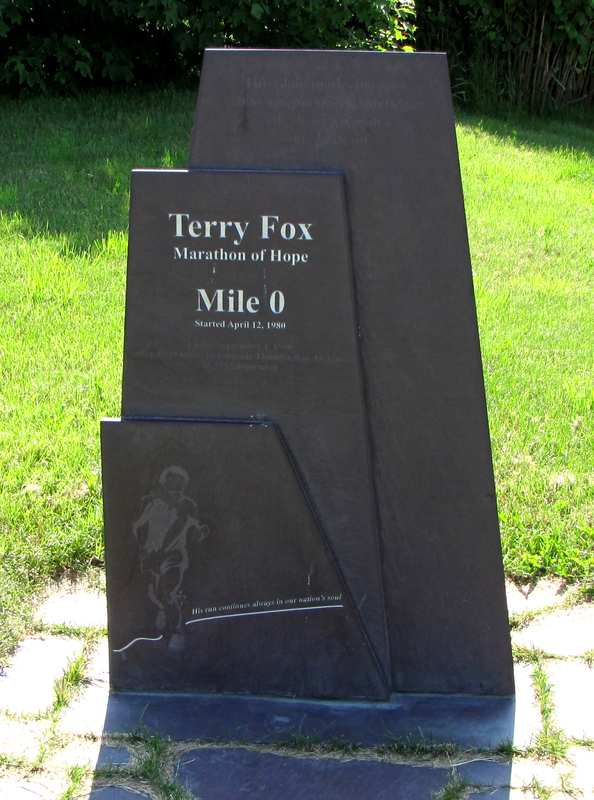 Terry Fox (July 28, 1958 – June 28, 1981) was a student athlete: he was a long distance runner and basketball player in his high school and college days. At the age of 19, he was diagnosed with osteosarcoma and his right leg was amputated. This did not stop him from his passion in sports and he continued to run using an artificial leg. He even played wheelchair basketball in Vancouver and won three national championships! His dream of raising money for cancer research was not really smooth. He met a lot of discouragements and road blocks along the way, and he had a hard time to get support from his mother and family. In spite of his disability and all the challenges, he was able to run a marathon everyday and even ran on his 22nd birthday (why not?). However, when reaching Thunder Bay, he was forced to stop his run as it was later found out that the cancer has spread to his lungs. He was able to run for 143 days and 5,373 kilometres, raising $1.7 million. Support still came in after his hospitalization and after a few more months, $23 million had been raised. Passion, selflessness, and valor are the virtues which pushed Terry Fox to outrun his disability for the good of others. He didn’t let his condition bring him down, and he kept going forward for the hope of reaching his dream for others. It started with a dream to reach out to people in spite of his disability. He believed that a miracle could happen and he could do it, and he did. Yes he is inspiring for how he overcame his physical condition, but more so, it was his desire to help people and his selflessness for others that made him honourable and truly worthy of life.